Spring has sprung at Featherbrook! Last night we had our first outdoor lesson of the year and the weather was fabulous! I rode my main man Spraticus and we had a pretty decent evening overall. All the horses got their spring shots so I’ll admit he’s moved better but he was probably feeling a little wonky still. We did a nice warm up and some trotting which felt somewhat strange outside because it seemed so draggy and slow in the sand. Our canters were quite nice, especially to the right. Our left lead canter was rough for a few reasons, Sprat was slower in that direction and my stupid right leg flops around. (I have mentioned this issue before) It is my bad knee and I guess I have trouble keeping it behind the girth when I can’t put as much of my weight there to hold it in place. It is a strength issue I’ll continue to work on. 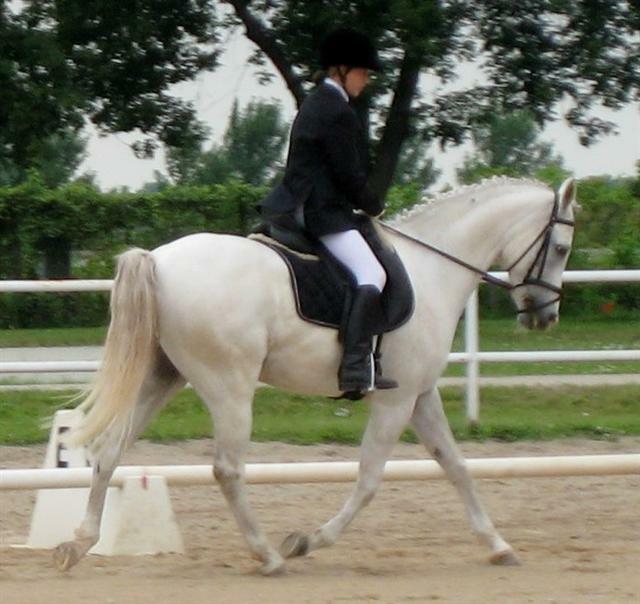 Our lateral work at the walk was very good but at the trot was a different story. Sprat kept cranking his neck in and if I let it be straight he hardly moved off my leg. Certainly something else to take back to the drawing board. But in general it was a good lesson and he worked darn hard for me. So hard, in fact, that he was breathing pretty heavy and it took me until dark to hand walk him until his body temp returned to normal. He is in great shape, but: he is about 20 years old; got spring shots yesterday; and had already been ridden once that morning. In hindsight we could have probably taken a few more walk breaks 🙂 At least since the weather was so nice, I had no problem sticking around late to walk with Sprat outside. 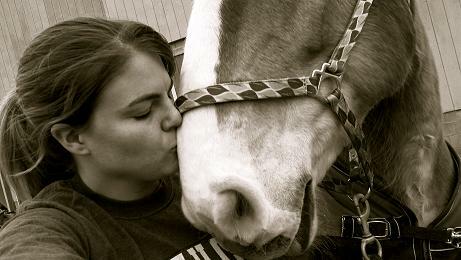 I will sure miss that guy this summer while I am riding Kate but I’ll be back in the fall! This week has been an exercise in adaptability as far as my horsey exploits were concerned. 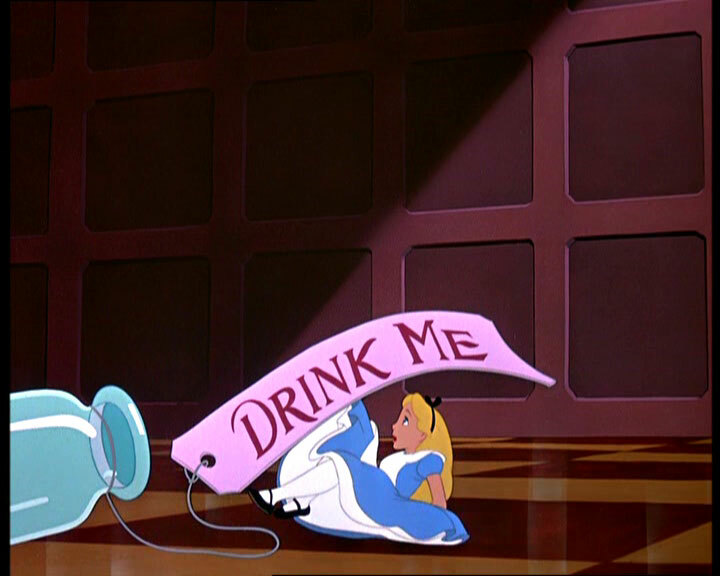 I have ridden for the last three days in a row but my experience has been akin to feasting with Alice. 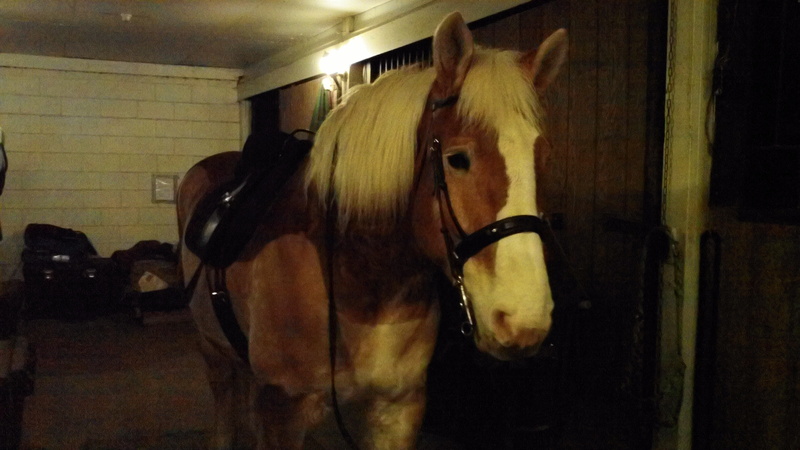 I rode my big and beautiful Belgian horse, Kate on Tuesday evening. We worked on bending and transitions. There was one other rider in the arena at the time having a lesson with the barn owner and **name drop alert** S (senior) Dressage Judge, Bronze, Silver, and Gold medal recipient, Bill Solyntjes and as we were cooling out Bill came over and told me I looked very pretty riding Kate and that her bending was looking better- which is essentially Dressage trainer speak for: “you’re riding well and you two are a good match”. I was elated. It was an unexpected and unsolicited compliment and he has no idea just how much it meant to me. Oh, the joys of being a novice. On Wednesday evening I had my lesson at Featherbrook which went pretty well. There were too many people in the arena again but I was satisfied with my ride for the most part. The mind freak was that I rode Comet, a 14.3hh Arabian gelding. Everything about Kate is big: her movement; the aids required to ride her; her size in general. In contrast, everything about Comet is tiny and he is very sensitive. 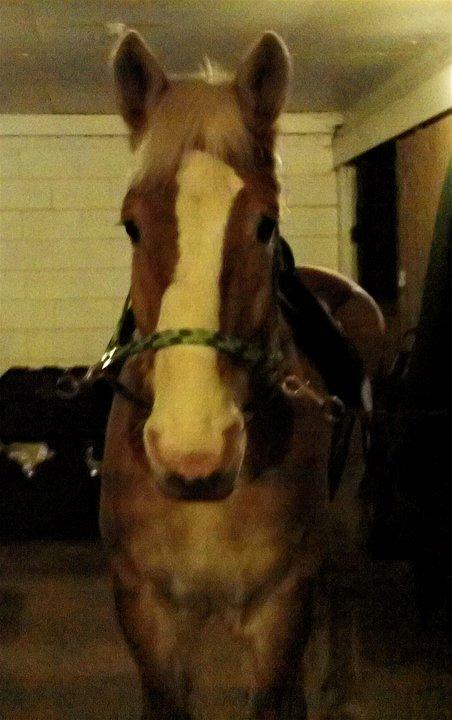 I rode Kate again last night and noticed yet another factor that made me feel like I was in the twilight zone. The indoor arena at Featherbrook is much much larger than the arena at Brandywine where I ride Kate. So little Comet and I took what seemed like a bajillion little trot strides to cover the long sides of the arena and when I got back on Kate we were turning the corner again after what seemed like three strides! An interesting adventure to say the least…as long as I don’t get sucked down the rabbit hole. We’re not breaking up, so much as “taking a break”. See the thing is, I want to see other horses. No, I’m not talking about a break up with my boyfriend, I am talking about breaking up with my current dressage barn. I love Featherbrook, the people are kind, friendly, and down-to-earth. The instructors are all of those AND incredibly skilled. Which is why it made this decision so difficult. The fact is, an opportunity presented itself to me that I simply could not refuse. I am officially leasing Kate. That should be bold and larger text, eh? to reflect the excitement I am containing until I can write a proper post on her! I could not be happier with the arrangement I have made with her owner and her trainer. I promise you more on that later, but back to the task at hand… I am having trouble making the decision to quit lessons at Featherbrook for the next 6 months. I have gotten to know people in my lesson group, the barn kids, the horses and it is hard for me thinking I might damage these relationships by leaving. There are also things I was looking forward to doing at Featherbrook this summer that will not be possible at this other barn. 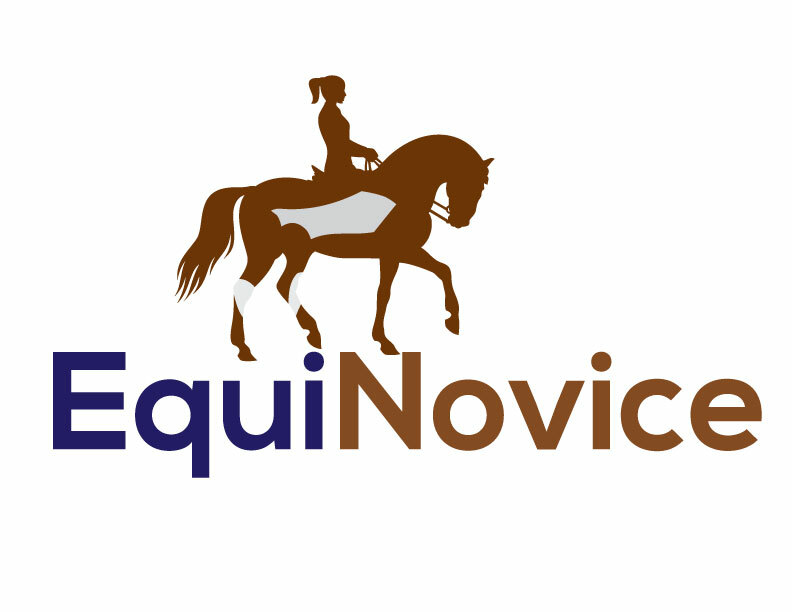 We have a pretty large group of adult riders now at Featherbrook and so the idea was that we could do some fun days at the barn just for adults and we could even do some camping trips with the horses. I was so looking forward to it, especially the camping trips. I originally thought I might still do both- lease Kate and take lessons at FBF- but I don’t have the time or money. I have weighed the pros and cons of my decision and I do understand the things I will lose while I am leasing but the things I will gain will be so good for me. With a heavy heart, I am trying to figure out the best way to take a leave of absence but still be welcomed back in 6 months or so. On the off-chance any of my lesson mates or instructors at FBF should happen to stumble upon my blog, hopefully they will see how difficult it was to part with them- if only for a little while. Have you ever broken up with your barn? How did you do it?